I’ve been trying to understand my own interests for a long time. My artistic abilities and overall interest in art took shape in my early teens. I created drawing and paintings that took weeks, entered exhibitions and held one-woman shows. Art was a commitment and I reinvested any monetary earnings into supplies and materials to create more. I loved the process and each end product. 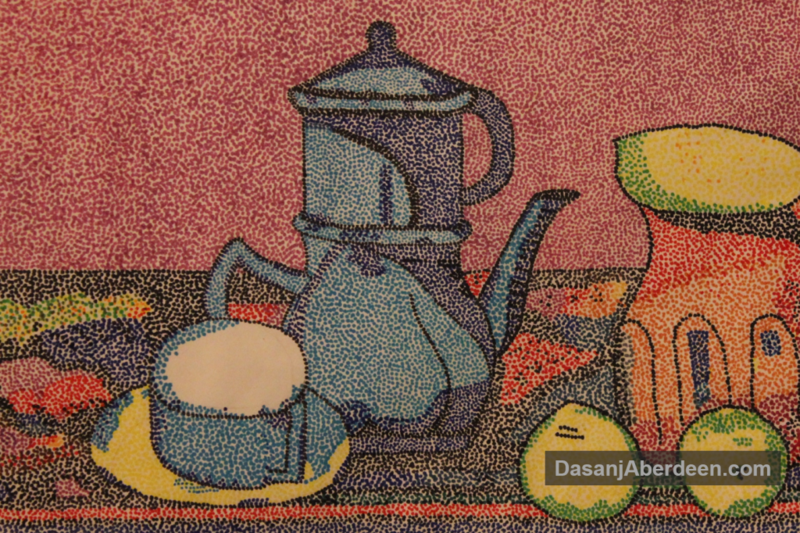 Here is one my pieces, inspired by the Pointillism painting technique developed by Georges Seurat and Paul Signac in France in 1886. At the same time, I noticed my increasing interest in business. I really liked the idea of learning the fundamentals of business in order to one day make better overall business decisions. I liked leveraging business to have an impact on the world. In particular, I liked using products and services to help people by addressing their needs. Similar to art, business allows you to start with a vision and bring your idea to life. Similar to art, business allows you to start with a vision and bring your idea to life. So what did this mean? I was interested in two areas that were seemingly unrelated and at opposite ends of the spectrum. Every time I shared these interests with others, they were surprised and intrigued all at once. These responses made me question what it means to have multidisciplinary interests and what was actually possible. Business is more of a left-brain tendency while art is more of a right-brain tendency. 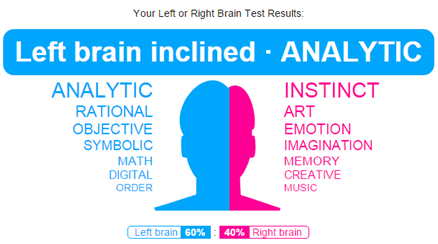 Are you more driven by the left or right side of your brain? I’ve paid close attention over the years to be able to answer this myself and I’ve learned how getting to the bottom of how you’re wired is one of the most important things you can do on your self-awareness journey. Getting to the bottom of how you’re wired is one of the most important things you can do on your self-awareness journey. Clarify what’s important to you. Once you know what you value and what is meaningful to you, life makes a lot more sense. You no long do for the sake of doing but you now have meaning for your actions. You can easily answer why and have more direction. Ultimately, you become more confident in owning your core. Inform how you design your work and life. Now, you are better informed to make decisions about structuring your work and life. You can develop your criteria for what makes the cut. Ask yourself: Is this in line with my core? Does this make me feel true to myself? Does this align to my intrinsic needs? Prioritize and supplement. As you assess your options, you can decide what’s truly a priority and what can be supplemental. Where do you need to focus your time and effort to reach broader goals? What do you love doing versus like doing? Use the 80/20 rule to allocate your time accordingly. Leverage your strengths. We all do better when we operate within our strengths. So it is important to identify these as soon as possible so you’re more effective and improve your performance. Whether it is talent or skill, leveraging what comes to you naturally is smart and strategic. In an upcoming post, I’ll share how this revelation has shaped my life and work decisions and what it means for me. Sign up for my newsletter here so the upcoming post comes directly to you! Until then, I’m looking forward to hearing how the dominant side of your brain drives your interests and decisions! And if you take the test, I’d like to know about the results. Did it surprise you? Does it align with how you live your life? Next Article Next Article: Ignite Your Creativity with Fresh Inspiration: Book A Trip And Travel!